Thierry Mugler launched A*Men Pure Wood1 last summer; it’s a limited edition that, according to my most-trusted Nordstrom perfume sales person, is selling fast. I was beginning to worry the A*Men “Pure” scents (among them A*Men Pure Energy, A*Men Pure Shot, A*Men Pure Havane, A*Men Pure Malt and A*Men Pure Coffee) were smelling too similar. A*Men Pure Wood stands apart from others in the “Pure” collection with its sweet/dense “oak” aroma, mingling with pungent cypress and woody vanilla and patchouli. Dare I say that my first impression of A*Men Pure Wood was: “Wow! It’s Chêne-sque!” …as in Serge Lutens; I want to try these perfumes side by side. A*Men Pure Wood is a linear perfume, but it does not wear me out or bore me as the day progresses; in fact, I enjoy it more and more as time passes — it’s a comforting fragrance. I almost bought A*Men Pure Wood at the Nordstrom counter the first time I sniffed it, but held back for a few days’ wear. When I returned to purchase it, I was told there were no more bottles in stock; availability online seems fine. 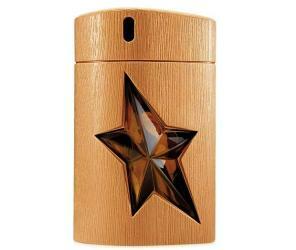 Thierry Mugler A*Men Pure Wood Eau de Toilette is $90 for 100 ml. Michael Kors just launched Michael Kors for Men2 (unrelated to the older Michael for Men fragrance that debuted in 2001 and has now disappeared from the Kors website). Michael Kors for Men provides its pleasures quickly: there’s zing in the opening and early heart notes — lots of pepper and coriander mixing with bergamot, a breath of sheer incense, a plush cushion of suede, a fresh, slightly “evergreen” moment or two, and an accord that brought to mind citrus rind…all energizing and fun and happy. I was about to be impressed until Michael Kors for Men fell flat on its base...with a thud, removing all fun and happiness. 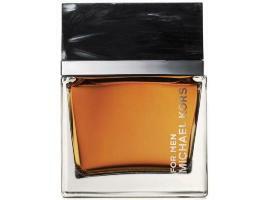 Michael Kors for Men’s base notes smell of (very) artificial wood and dreary musk. Why must so many mainstream brands skimp on the bases of their perfumes; after all, the base notes are what we smell longest (and Michael Kors for Men lasts a long time on skin). Michael Kors for Men Eau de Toilette is available in 75 ml ($62) and 125 ml ($78); scented grooming products include after shave splash, after shave balm, and hair and body wash.
1Listed notes of oak, coffee, cypress, vanilla, patchouli. 2Perfumer Harry Fremont; listed notes of bergamot, pepper, star anise, sage, coriander, thyme, elemi, incense, suede, patchouli, sandalwood, musk. Thank you for the review–the A*Men sounds great. I think there might be an A*Men for everyday of the week with at least one to spare. Holy moly, there are eleven of them. monkeytoe: HA! I know…I think lots of them are kaput, but have lingering bottles left. Think That’s All of them. A*Men Pure Shot, A*Men Sunessence Edition Orage d’Eté. And arguably Ice*Men. Would it kill Thierry Mugler to release a whole new fragrance and not call it Amen Pure Whatever-there-is-in-the-kitchen? Unfortunately I just can’t stand Amen anymore. I always had a bottle as it was the fragrance I used during my teenage years. But it just got reformulated, unfortunately. Amen was never a monster in longevity but great silage after you sprayed it. It was very tar with the overburned coffee, some mint in the opening and cacao, leather and some patchuli in the base, very linear until the end. What does it smell like now? well, a tar burned coffee note that lasts for less than an hour (what used to be the best it had), no mint and a LONG sticky overly sweet chocolate-vanilla cake smell, like the one you feel at the Wallmart bakery… and no leather. So, for this reason, probably to please the masses, although I don’t think any mass would like to smell like expired cupcake, I won’t be buying it anymore. I got my last bottle in London for 30 pounds, I don’t wonder why. eaudemale: It would be interesting, also, to hear the people who wore original A*Men who still wear it happily…seems all lovers of it really hate the reformulation(s). I’m one of those who like the “Pure” scents better than the original…though I could appreciate its weirdness for sure. I wore A*Men a lot when it first came out because there was nothing remotely like it on the market, but I don’t think it took me even a year to get properly tired of it, so I gave it away. I also bought Pure Coffee when it was launched (a decade ago!!!) and am still wearing it regularly, with great pleasure. There’s no question in my mind that the Pure flankers are better than the original. R: no way! I reviewed Pure Coffee in 2008…think it came out then? HA! Agree, the flankers are better. Could it be that Mugler turned Amen into this 6am bakery in order to gain focus on their new releases with accented notes? btw I just visited the muglerusa.com site, they’re promoting Pure Coffee right on the cover page, so I guess that the above makes some sense. I always forget about all of the Thierry Muglers when I go to try colognes or either the store just don’t have any left. Dissapointed about the Kors since I bet it will be a huge seller around Christmas and everyone and their brother will be reeking of it! chandler b: maybe not…I’ve never met a person who owned a Kors scent! HA! But maybe I’m in the wrong group? But sometimes people DO buy the “latest release” and I can’t think of another men’s release that’ll be out before Christmas…. Very pithy. That Kors looks like a deal. Will try. Really posting to say how much I enjoyed your last two, on Aramis and Aromatics Elixir. Pure Wood is fantastic! It’s like if you took Serge Lutens Chene and crossed it with Amouage Interlude Man and spread it over a bed of the AMen dna. It is a beautifully rendered scent that is worth every penny. Easily surpasses Malt as the best in the line. But Mr Mugler really needs to switch to a better bottle design. These cheesy rubber dog toy flasks are embarrassing, and the dribbly sprayer is the worst I’ve ever seen. plume: glad you mentioned that…the nozzle bugs me BIG TIME. And the design is ugly as can be…especially this “cheap den paneling, circa 1975” one! When I went to the Mugler counter in Toronto, the S.A. made a point of repeating at least 5 times that Mr Mugler was no longer involved with the creation of the scents. I guess the “creative team” is not that creative when it comes to bottle design. I was always curious about, but never got around to testing, the original A*Men. LT gave it a 4-star review and described it as “hard to imagine on a guy, but a great feminine.” Maybe that’s one of the reasons they’ve done so many flankers? When the Toronto S.A. called to let me know the A*Men Pure Wood had arrived, I rushed and bought it–after just a very elementary smell test. I had read about it being chene-esque, so, between that and the S.A. telling me that it was selling quickly, I just jumped in and bought it. When I got home, I put it on and was not very impressed. I guess my expectations were too high. The bottle sat there for a few days. A few days later, I went back to it, this time with no specific expectations, and I was able to really enjoy it. The bottle, which looks pretty good in pictures, looks very cheap in person. But I guess the juice is more important.